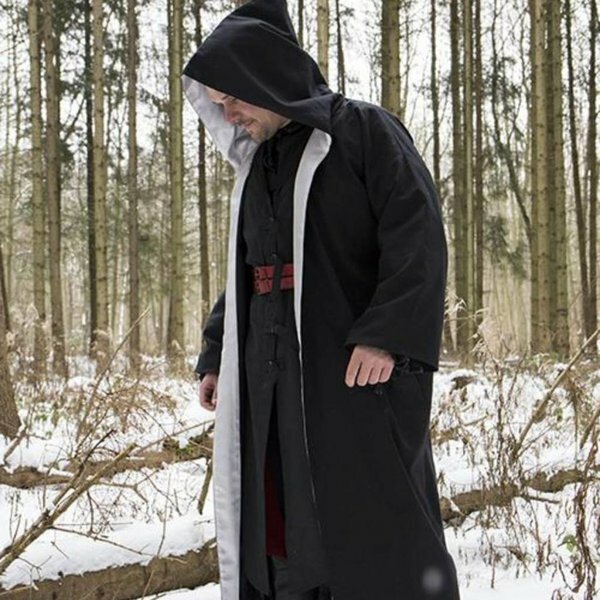 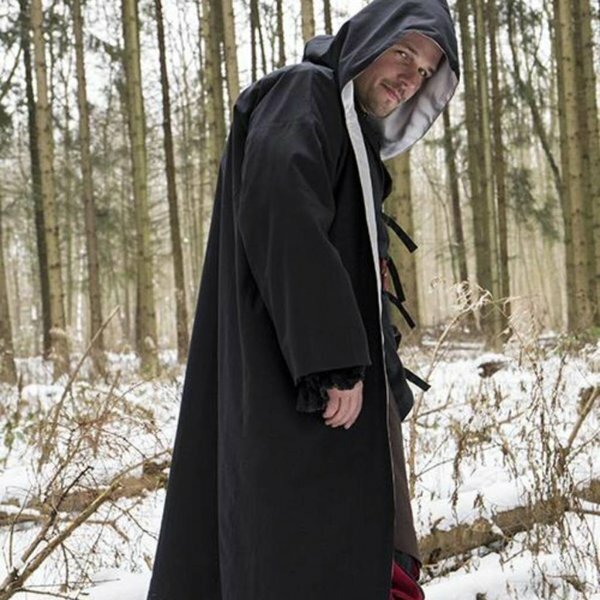 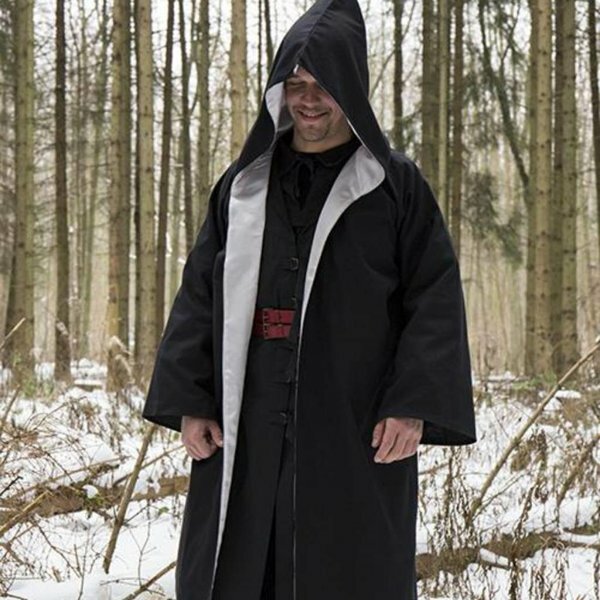 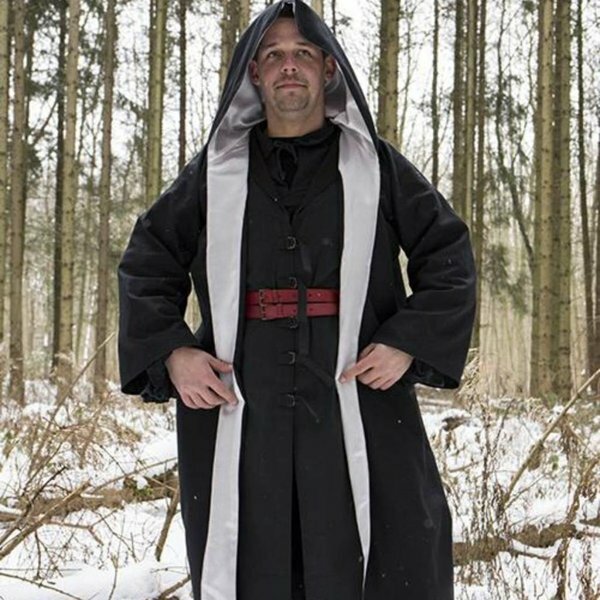 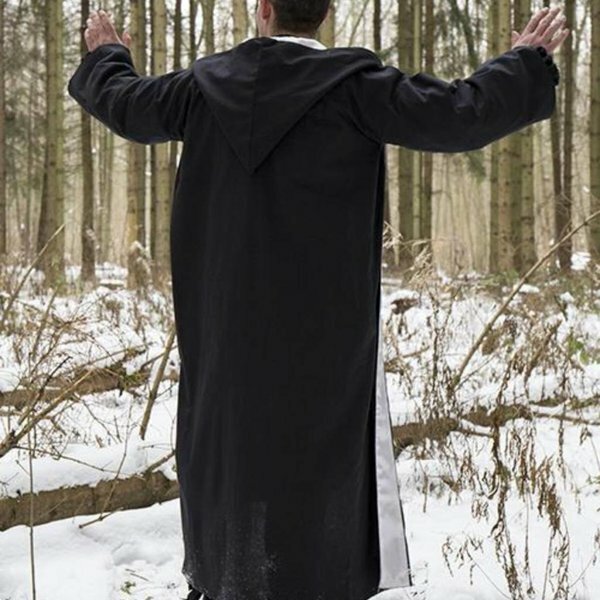 This robe is perfect for LARP and Cosplay of magical characters. 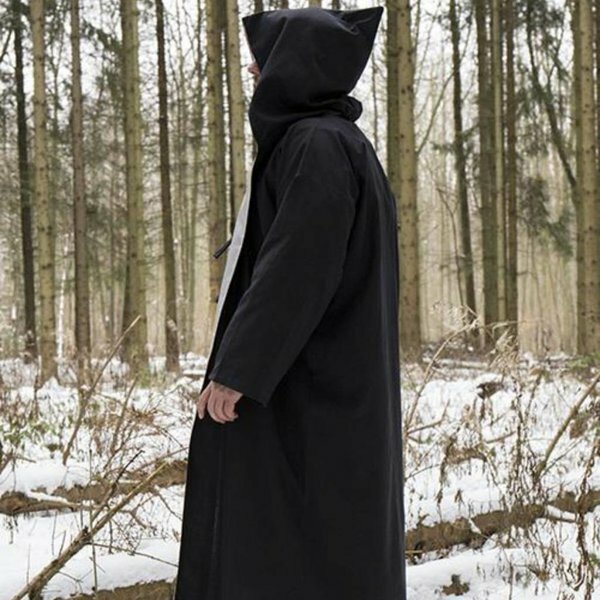 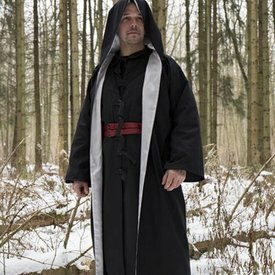 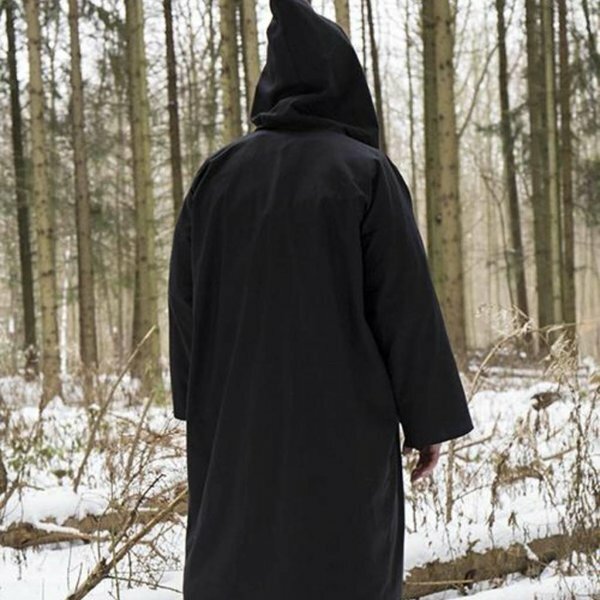 The robe has long wide sleeves and a large hood. 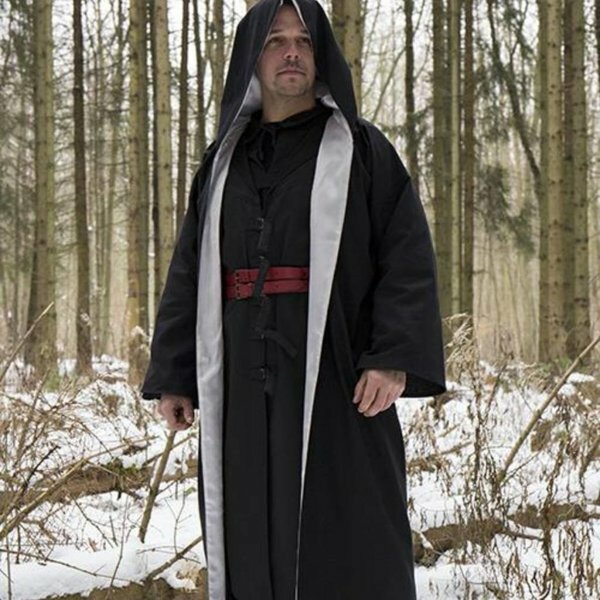 The inside of the hood and the inner lining are trimmed with silver-colored satin.